A few weeks before Thanksgiving I was having a chat with my sister about pies. Well that and laundry- Bill and I were at my parent's house doing about 2 week's worth, that day. Darn apartment complex's laundry room. I swear to you it is something straight out of The Hunger Games. Every man for himself. Last one standing gets to do a load. A friend of ours said he'd send a little toy helicopter with a laundry sheet to us. I laughed hard. Anyway, we opted to head over to my parent's house that day and forego the games altogether. Undies were needed! So while waiting for 345 loads to finish, we all got on the topic of what kind of pie to make for our upcoming Thanksgiving dinner. Pecan rang some big-time bells. I had been craving it for a while anyway, and everyone was all on board. So pecan it was. Well everyone but my dad. No pumpkin this year! Sorry dad! 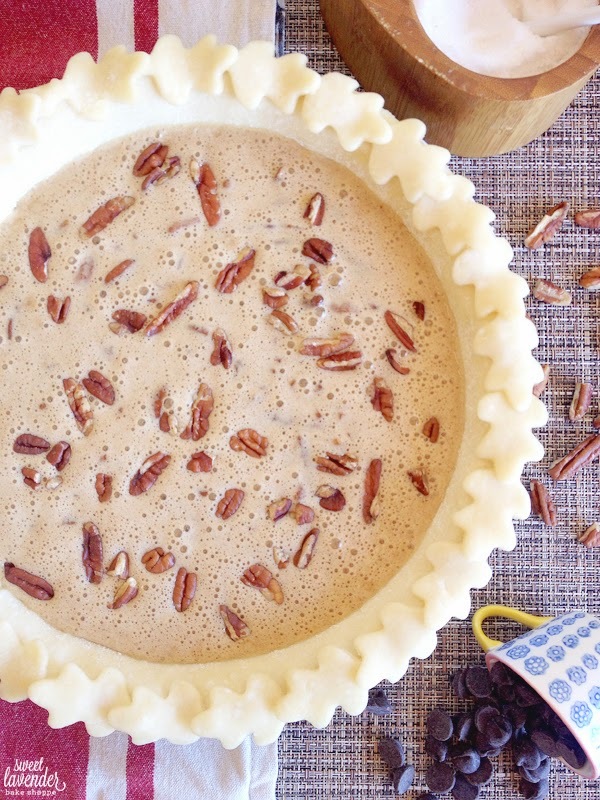 Here's the thing- I LOVE pecan pie. Like, LOVE it. BUT I hate using corn syrup. So finding a recipe that eliminated the ingredient was going to show itself as quite the task. Enter my favorite pie cookbook- A Year of Pies, by Ashley English. She had it covered. No corn syrup? Yes please! Her recipe was for little tartlets, I wanted a pie...so I made a few alterations. I also included some chocolate because...well chocolate! And also added some good quality whiskey. 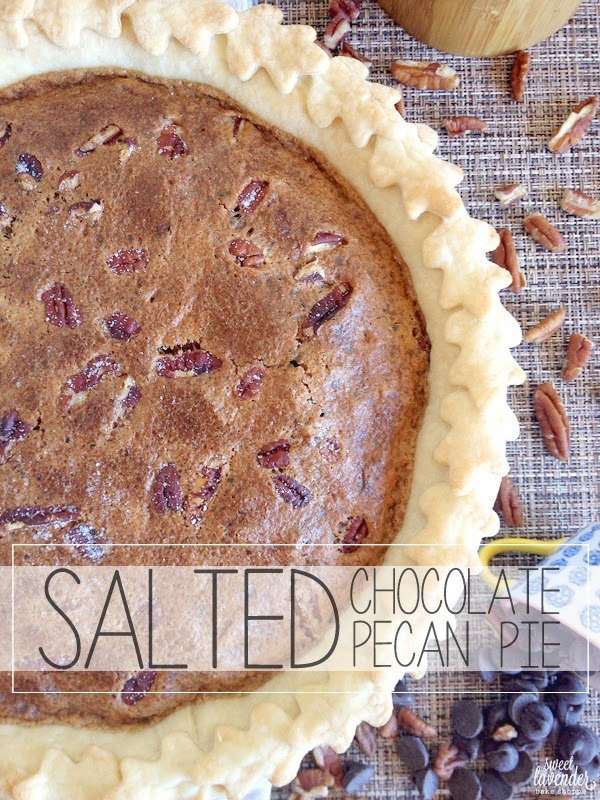 Whiskey, pecans, brown sugar, and chocolate are all big time heavenly matches. Trust me. 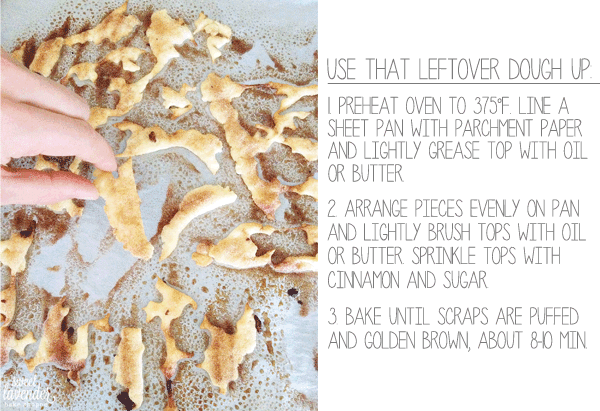 For printable recipe, click here! 1. Preheat oven to 375°F and line a sheet pan with tin foil. If making your own pie dough, gently grease or spray a 9" pie dish and set aside. 2. Make homemade pie dough according to recipe instructions, press into pie dish, and allow to rest 10 minutes in fridge. If using store bought pie dough, assemble according to package instructions, and allow to sit in pie dish, in fridge until ready to use. 3. In a large bowl, beat together your brown sugar, melted cooled butter, eggs, vanilla extract, nutmeg, cinnamon, cloves, and sea salt until thoroughly combined. 4. Next stir in your whiskey, pecan pieces, and chocolate chips. 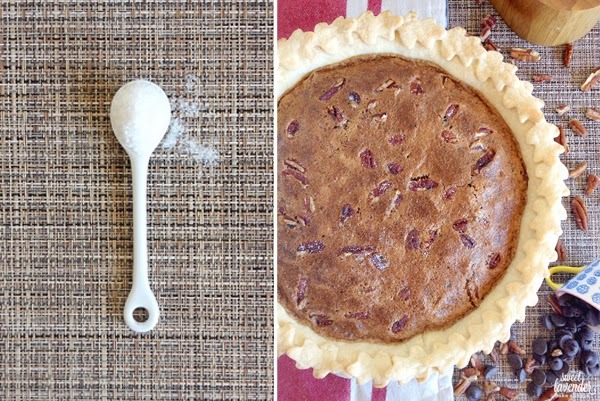 reserve a few pecans for sprinkling on the top of the pie before baking. Pour pie filling into rested, chilled pie dough, and gently tap dish on counter to release any bubbles. Sprinkle top with reserved pecan pieces and additional 1/4 teaspoon sea salt. 5. Bake pie on sheet pan, in middle of oven, for 10 minutes. Then lower the oven temperature to 350°F and bake an additional 32-35 minutes, or until center is almost set and puffed, and crust is golden brown. Allow to rest 15 minutes before serving, or even better- serve the next day, chilled! If pie crust is browning faster than the pie filling is cooking, simply remove from oven and gently cover edges with tin foil. Even better, purchase one of these pie crust shields! I love mine! Works like a dang charm. Recipe inspired by A Year of Pies, by Ashley English. We loved this pie!! Crunchy top, moist middle, bursts of warm spices and chocolate, subtle saltiness and a little finish of light whiskey flavors at the end. MmMmMm! Pump up the jam even more with some whipped cream! I served ours alongside this whipped coconut cream (we had a lactose-free friend dining) which was so darn awesome together! By the way! When you're making your pie dough, if you end up having extra... No problem! A nice little after-pie-baking snack! By the way, if you've got a few seconds, check out my little interview over on Rivers and Roads! It was so fun! This looks delicious! Hope you had a great holiday!